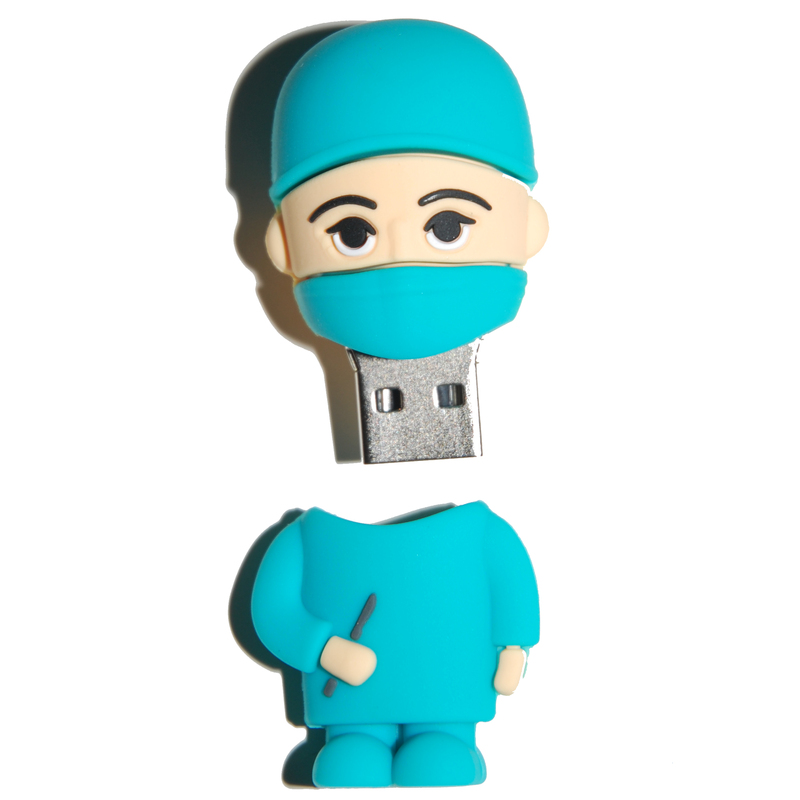 The Surgeon USB Flash drive, like any good surgeon has a great memory. 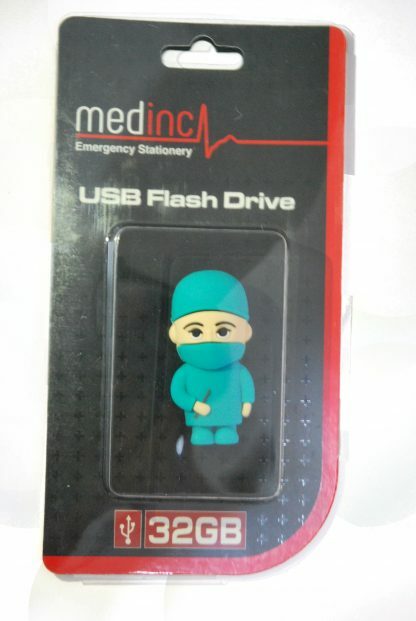 With lightning fast flash memory able to hold a massive 32GB this flash drive has enough storage space to store 12,800 text books (text book assumed to be 300 pages and requiring 2.5mb). 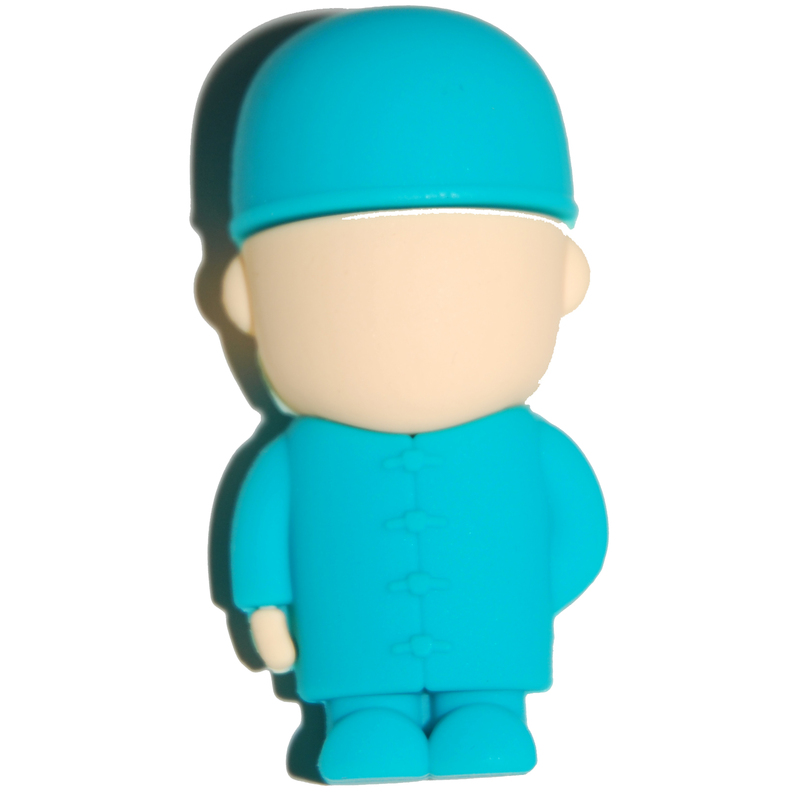 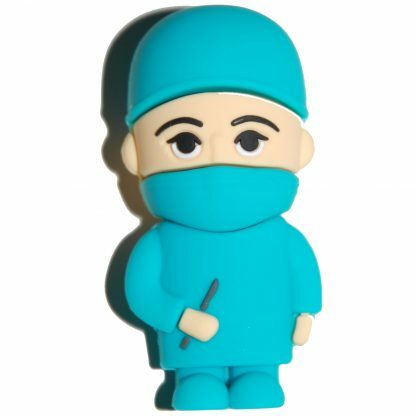 This Surgeon USB Flash drive would make the ideal gift for a medical student who is interested in surgery. 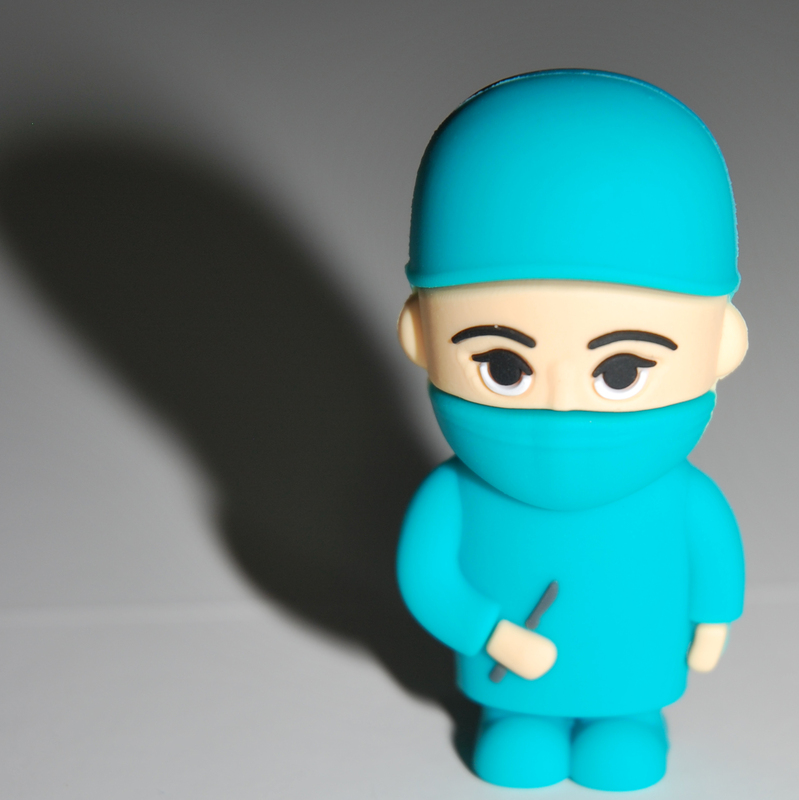 Or an F2 who is going into general surgery. The ideal study aid! 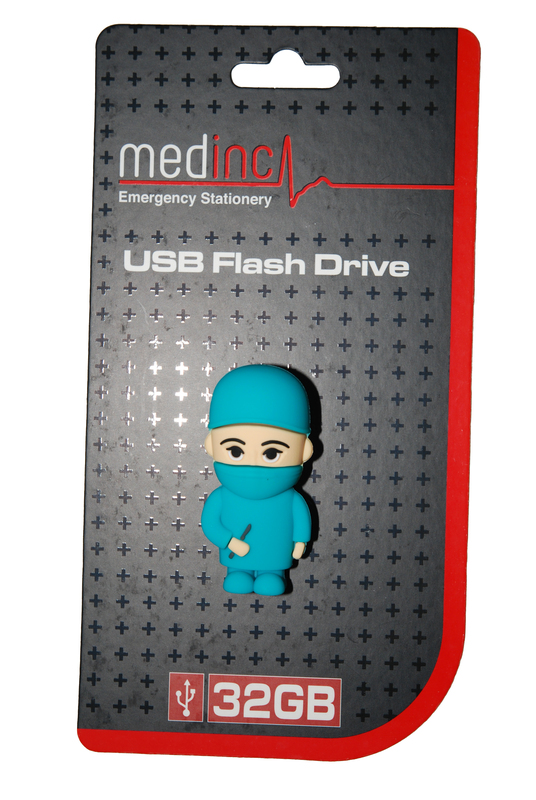 Made with Solid Silicone the outer surgeon casing will protect the inner flash memory stick from almost anything daily life can throw at you. 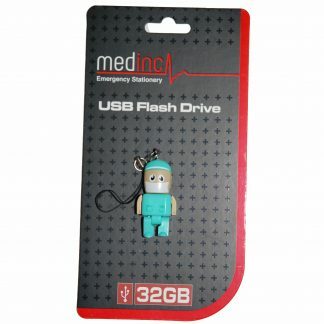 The USB is a USB 2.0 which makes it compatible with almost any computer on the market. 1 x Medinc Surgeon USB Flash drive with 32GB of storage space. 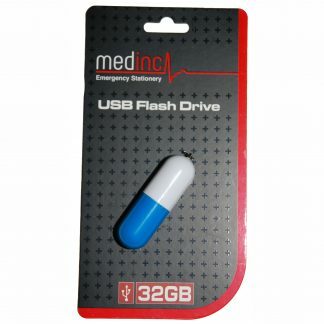 The flash drive will be packaged inside the Medinc retail packaging shown in the pictures. The flash drive dimensions are 55cm tall, 3cm wide and 2cm thick.